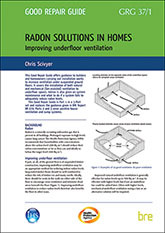 This Good Repair Guide offers guidance to builders and homeowners carrying out installation works to increase ventilation under suspended ground floors. It covers the installation of both natural and mechanical (fan-assisted) ventilation to underfloor spaces. 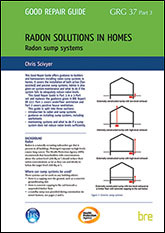 Advice is also given on system maintenance and what to do if a system fails to adequately reduce radon levels. This Good Repair Guide is Part 1 in a 3-Part set and replaces the guidance given in BRE Report BR 270. 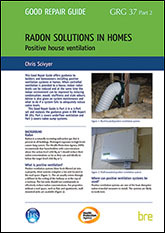 Parts 2 and 3 cover positive house ventilation and sump systems.